Please call (919) 542-5136 to reserve a ride. TTY: 1-800-735-2962 Or fill out our online request form. 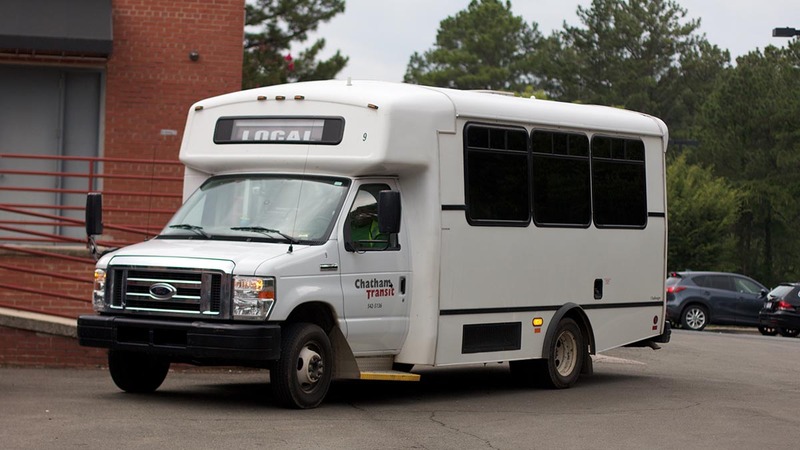 Service is available from 8:00 AM to 4:30 PM each weekday. Reservations are required 48 hours in advance. The nature of transportation is such that we cannot give an exact time for pick-up and drop-off so we ask that you are ready one hour prior to your requested pick up time. Learn more at our Rules of the Road page. Fares are charged per mile. Fares will be calculated based on the driving distance between the starting and ending points of the trip. The dispatcher will use an online mapping site to determine the driving distance and the fare.